Canine congestive heart failure can be caused by numerous heart problems such as chronic valvular disease and dilated cardiomyopathy. 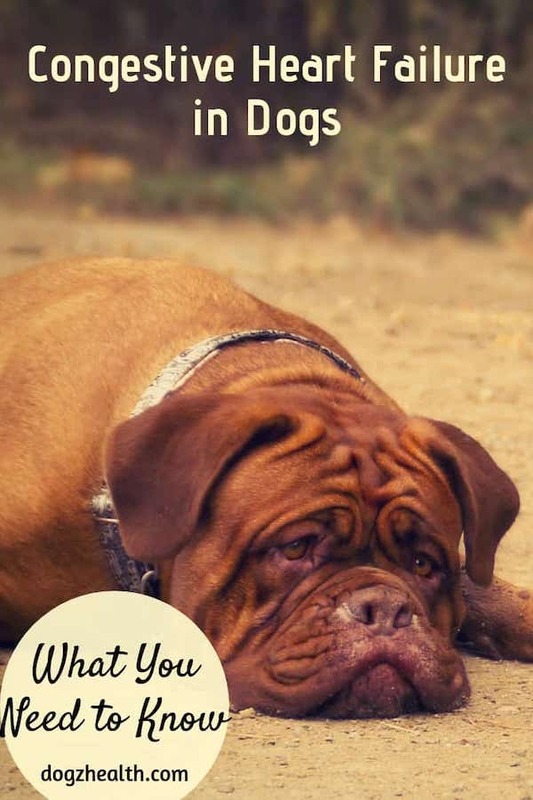 This post looks at the symptoms and causes of congestive heart failure in dogs. Congestive heart failure (CHF) does not equal heart disease. Congestive heart failure is the end result of a weakened heart muscle caused by some form of heart disease. Specifically, congestive heart failure in dogs is the inability of the heart to pump adequately so that the circulation does not meet the needs of the body. Because of that, the health and proper functioning of major organs such as the liver, kidneys, and lungs are greatly compromised. This results in a problem involving not only the heart but also other major organs. Unlike heart attacks in people, congestive heart failure in dogs seldom causes the heart to stop functioning all of a sudden. Instead, canine heart failure is a slow process. A weakened heart can continue to function for a long time (months or even years) without showing any sign of failure. Also, unlike heart problems in people in which the build-up of fat is a major cause, heart failure in dogs is seldom caused by fat build-up in their heart. As mentioned above, some form of heart disease, congenital or acquired, causes canine congestive heart failure. Congenital heart diseases are the result of a birth defect of the heart. This type of heart disease is rare and only accounts for about five percent of all canine heart problems. Acquired heart diseases are those that a dog acquires during his lifetime, which can be the result of injuries, heartworm infestation, bacterial infections, or just normal wear and tear. Certain hormonal problems such as hypothyroidism and Cushing’s disease can also cause heart disease in dogs. As can certain forms of cancer (e.g. hemangiosarcoma in the heart). In small breed dogs, the most common acquired heart disease that causes congestive heart failure is chronic valvular disease with mitral regurgitation. In large breed dogs, it is dilated cardiomyopathy. As you can see, acquired heart diseases are quite prevalent and, in fact, they account for about 95% of all cases of canine heart diseases. 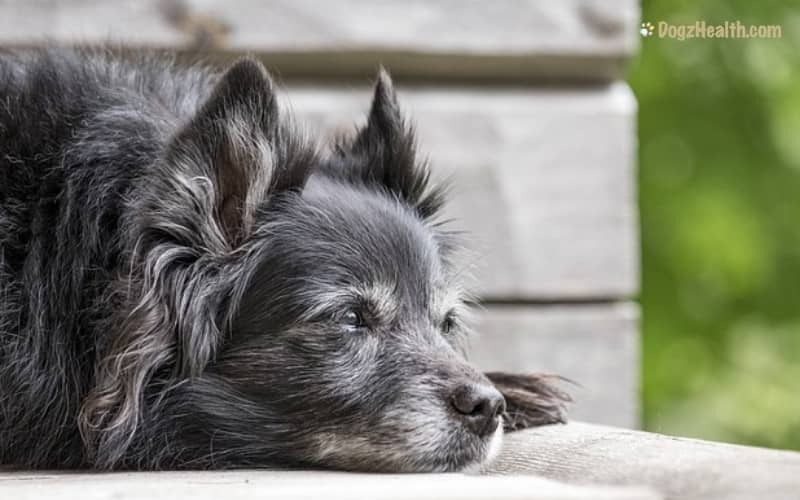 Signs and symptoms of congestive heart failure in dogs actually depend on the underlying heart problem, but there are certain common symptoms which indicate that a dog may be suffering from heart failure. If the left side of the heart is affected, the dog will cough up a bubbly red fluid (a condition called pulmonary edema). If the right ventricle is affected, the dog will have a swollen abdomen due to a fluid build-up in the abdominal cavity. A backup of blood within the abdominal vessels causes the fluid build-up. The dog may also have leg swelling and fluid accumulation in the chest cavity. Chest x-rays: The vet uses X-rays to observe the physical conditions and characteristics of the heart, such as the heart’s size and shape. Electrocardiogram (ECG): ECG can detect the presence of arrhythmia, i.e. irregular heartbeats. Echocardiograms: These can determine the extent of normality and functioning of the heart, such as the strength of heartbeats, or the presence of congenital birth defects. Blood and urine tests: The vet needs these tests to determine the proper functioning of the kidneys, liver and other organs. If he finds abnormalities, it may indicate that one or more of these organs are involved in the heart failure process, or the dog patient is suffering from some other diseases. Heartworm tests: As heartworm infestations can cause heart disease, tests for the presence of heartworm larvae are also necessary. Treatment of the heart failure itself involves mainly the use of medications to increase heart function and prevent cardiac arrhythmias. Other additional treatment includes the use of supplements and vitamins, dietary control, and exercise restriction. These drugs work to reduce blood pressure and volume. As a result, the heart will be less stressed and the heart muscles will not deteriorate as fast. Dogs with cardiomyopathy and valvular heart disease can benefit from ACE inhibitors, such as enalapril maleate (Enacard) and benazepril (Fortekor). The vet will commonly prescribe digitalis glycosides to control heart rates that are too fast. To manage fluid build-up in the lungs and elsewhere, the vet will use diuretics such as furosemide (Lasix). These vitamins have antioxidant properties and can help eliminate free radicals from the body, thereby protecting the heart from damage by free radicals. Dogs with heart problems can benefit from this supplement because CoQ10 strengthens the heart muscles and improves heart muscle oxygenation. These are amino acids that are beneficial to the heart. L-Carnitine enables cells in the body to transport fatty acids (fuel) to the heart. L-Taurine helps maintain a healthy and normal output of potassium from the heart muscles, thereby lowering the risk of heart disease. A good supplement that you may want to consider is Vet Classics Canine Cardiovascular Support . 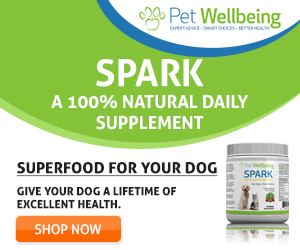 It contains CoQ10, L-Taurine and L-Carnitine, vitamin E, and various herbs that are good for dogs with congestive heart failure or other congenital heart diseases. Dogs with congestive heart failure should be put on a low-salt diet. Moderate exercise is beneficial to dogs with mild cases of heart failure. However, if your dog is showing symptoms such as coughing, panting, and easy tiring after exercise, then it is not advisable to allow your dog to engage in such exercise or activities that bring about these symptoms.